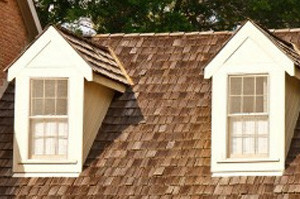 Shingled Roofing | Cedar Shake Roofing | Slate Tile RoofingWhenever it concerns roofing, Naperville Exteriors, Inc. is greatly accepted as the leading roofing contractor for all around the Greater Chicago Metropolitan Area. Our roofing contractors make the effort to do every little thing they can to be sure that your roof replacement is specifically what you want and at a fair and sensible price that won’t go over your spending budget. Naperville Exteriors fully grasps how demanding it can be to hunt down the very best roofers for your unique roofing job. We are famous for not just having the most outstanding team of roofing contractors, but our roofing materials and labor will boost the exterior of your house as well as boost the value of your property. Therefore, at any time people in Burr Ridge are hunting for the most ideal new roofer for their roofing endeavor, the name they would want to keep in mind is Naperville Exteriors. Burr Ridge, Illinois is an affluent suburb of Chicago that can be found in Cook County and DuPage County with just over 10,600 individuals living there. Naperville Exteriors, based in Lockport, and it’s conveniently situated roughly 17.2 miles southwest of Burr Ridge. Whenever Burr Ridge’ residents are in the market for completely new roofing, they prefer to select the best in the industry – Naperville Exteriors. We are renowned for having the roofing products, competitive pricing and fantastic services our Burr Ridge’ customers are requesting. Essentially, as Chicagoland’s recommended certified roofing contractor for more than 14 years, the residents in Burr Ridge have an understanding that Naperville Exteriors will not cut corners or takes the shorter rout at their expense. Quality craftsmanship, attention to every find detail and the total safety of our Burr Ridge’ customers, their families, their properties and our staff are important to our beliefs of offering the very best products at the absolute best prices. Naperville Exteriors, Inc. is renowned for insuring that you’ll certainly obtain the finest quality of roofing design from our well-mannered and adept roofing contractors. Not only do we have roughly 20 years of practical experience in the roofing field, but Naperville Exteriors has had the exact same roofing crew working together on roof replacement and other roofing projects for well over a decade! At any time you choose Naperville Exteriors, you will be excited to uncover that you are working along with among the most firmly recognized and highly respectable roofing companies in the region. On top of that, with customer satisfaction as our top goal, it should come as no surprise that not only will Naperville Exteriors work to fulfill your anticipations, but we will typically go over and beyond all of them! For the type of roofing contractors who are honest, dependable and polite, Naperville Exteriors should be your final destination. Phone us today at: (630) 254-4831 for your no-cost quote for roofing services. We look forward to hearing from you.